Warner Bros. Home Entertainment recently released their Deluxe Limited Edition Blu-ray box set of Batman: The Animated Series, a must-own for fans. 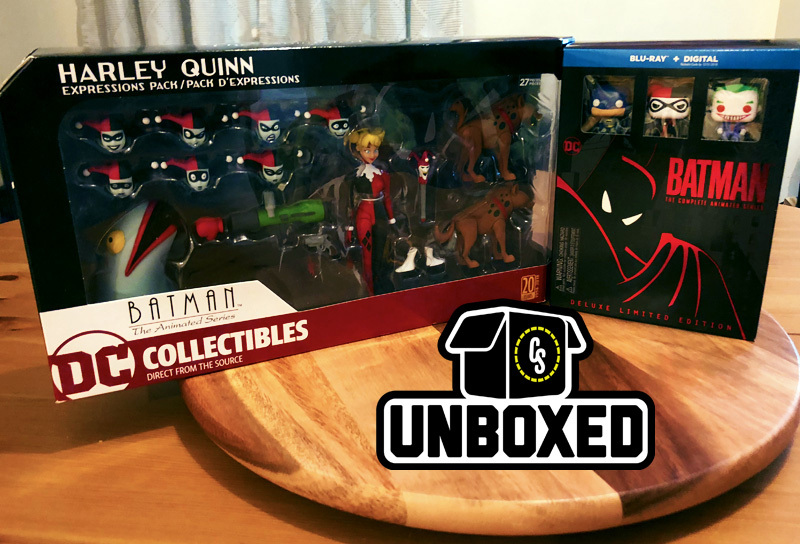 Now they have provided ComingSoon.net’s CS Unboxed the opportunity to do a video unboxing of the set, which we did alongside DC Collectibles’ Batman the Animated Series: Harley Quinn Expressions Pack figure. 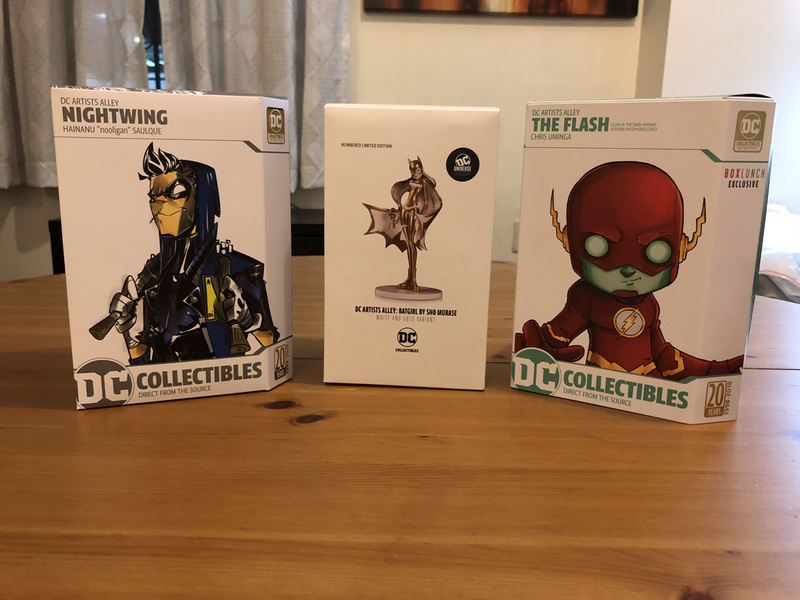 Check out the video in the player below, along with a more detailed unboxing in the gallery which also includes previous DC Collectibles products! Click here to purchase the Batman: The Complete Animated Series Blu-ray box set! Click here to purchase DC Collectibles’ Harley Quinn Expression Pack! The series earned four Emmy awards, including Outstanding Animated Program, and has appeared on numerous lists for best animated shows of all time, best comic book adaptations of all time and best Batman adaptations of all time. The box set, which will cost $113, includes 10 Blu-Ray discs featuring all 85 episodes, as well as two bonus discs featuring the films Mask of the Phantasm and Batman & Mr. Freeze: SubZero, and features hours of special features and additional entertainment, as well as three exclusive three Funko mini-figurines of Batman, Harley Quinn and The Joker and seven lenticular art cards. Only 30,000 copies of the box set are being produced, 2,000 of which were pre-ordered on Amazon within 24 hours of availability. Batgirl’s disappearance, Batman and Robin discover that she is part of Mr. Freeze’s frigid plan to save his dying wife – no matter what the cost. With time running out, Batman and Robin must find Gotham’s most cold-blooded villain and prevent him from putting Batgirl “on ice” forever. Batman and Mr. Freeze: SubZero includes all of the special features included on the original release: All four episodes of the animated “Mr. Freeze Saga” – Heart of Ice (Batman: The Animated Series), Deep Freeze (Batman: The Animated Series), Cold Comfort (The New Batman Adventures) and Meltdown (Batman Beyond); Art of Batman: Music Montage (Featurette); Get the Picture: How to Draw Batman (Featurette); Arkham Asylum: Examine the Top-Secret Case Files of the Dark Knight’s Many Foes (Featurette); and an Audio Commentary featuring Bruce Timm, Paul Dini, Glen Murakami and James Tucker. Andrea Romano discuss Gotham’s most popular rogues. Arkham Asylum: Examine the Top-Secret Case Files of the Dark Knight’s Many Foes: Clayface (Featurette)– Clayface personnel file revealed by Bruce Timm, Dan Riba and James Tucker. discuss bringing Harley Quinn to life. Dan Riba discuss Mark Hamill’s inimitable Joker. Radomski discuss designing Poison Ivy. Ghul is such an exciting villain. discuss the various iterations of the Scarecrow. James Tucker, and Dan Riba.